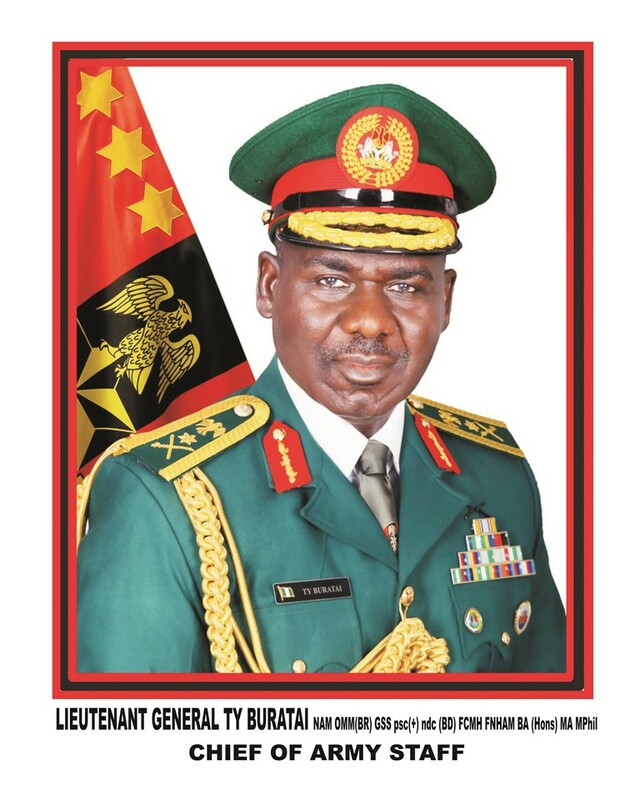 THE COAS LIBRARY: LT GEN TY BURATAI’S INITIATIVE The Chief of Army Staff, Lieutenant General Tukur Yusufu Buratai, on assumption of office, stressed the need for officers and soldiers to be more professional while responding to military duties. 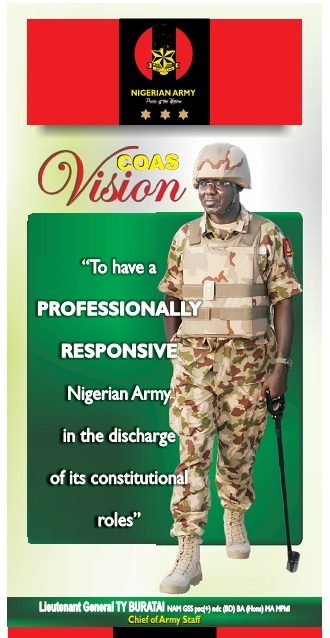 These variables were well articulated in his vision: “To have a professionally responsive Nigerian Army in the discharge of its constitutional roles.” However, officers and soldiers of the Nigerian Army (NA) cannot in any way achieve this without constantly reviewing history from books in conjunction with the present, to be able to effectively and efficiently perform their roles. The COAS new library contains physical materials as well as e-library for personnel of the NA. Putting together books written on the military, by the military, on military and military related matters. To aid research on military related information. To encourage military personnel to write on military related activities. Borrowing of books, covering extensive range of subjects, genres and experiences. Free access to reference materials including online subscription services. Resources that can help officers and soldiers to educate themselves on military issues and other wide range of information that cannot be found elsewhere. Access to computers and the internet. Support for research using online resources as well as print resources that are not available on the internet. Preserving military history in educative materials. Offering details on military activities, battles including its successes and challenges. In a nutshell, the essence for the establishment of this library is to have well learned and productive officers and soldiers of the NA. This progressive approach should be utilized by all personnel for a better NA in order to actualize the efforts and foresight of the COAS for establishing the library in tandem with global best practices. The COAS Library is located at the Nigerian Army Headquarters.